Under the terms of the agreement, both parties intend to strengthen collaboration on opportunities relating to LNG investments, LNG projects, LNG transportation, ethane transportation, or other related and mutually beneficial projects. As informed, the strategic partnership is expected to leverage strengths and networks of both companies. It would take advantage of COSCO Shipping Energy’s experience in the building, operation, and management of LNG vessels, and Seaspan’s experience in the operation and management of containerships, as well as the networks and experience of its board members in the energy sector. “Seaspan has long standing integrated services with COSCO Shipping in container shipping, and we are proud to carry this partnership forward to opportunities in LNG. We are confident that the combined strengths of both companies will generate significant value in the future,” Bing Chen, Seaspan’s President and Chief Executive Officer commented. COSCO Shipping Energy specializes in LNG, oil products, and other energy transportation under COSCO Shipping and it has the largest LNG vessel fleet in China. 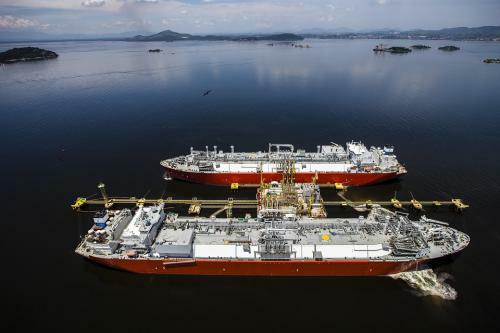 At present, it has 29 LNG vessels in operation and 9 LNG vessels in its orderbook. Seaspan’s operating fleet consists of 112 containerships with a total capacity of more than 900,000 TEU, an average age of approximately 6 years and average remaining lease period of approximately 4 years, on a TEU-weighted basis.